Andrew K. Craig litigates complex mass tort insurance disputes across the country and counsels clients with respect to commercial real estate transactions having an environmental aspect. Mr. Craig has represented insurers for almost twenty years with a focus on complex coverage litigation, primarily involving environmental claims; asbestos and silica claims, and related bankruptcy matters; and toxic tort and products liability coverage matters. Mr. Craig has a track record of successfully representing insurers involved in these often complex litigations involving competing policyholders, dozens of insurers, and decades of underlying liabilities and insurance coverage issues. Mr. Craig assists real estate investors, owner/operators, and governmental entities in assessing and confronting potential liability under state and federal environmental laws, as well as transaction-triggered regulatory proceedings. He guides the Firm's clients through acquisition, cleanup, and redevelopment of brownfield sites and also coordinates and oversees environmental due diligence. Many of his recent transactions involve deals focusing on brownfield opportunities in real property transactions. Represented insurers in a number of asbestos driven Chapter 11 Bankruptcies, including, W.R. Grace, Federal-Mogul, and Dresser Industries (Halliburton). Represented a major property and casualty insurer with respect to potential coverage for the repair and replacement of fire retardant treated plywood used in roofing in tens of thousands of homes and condominiums across the country. Successfully resolved an insurer's alleged liability of over $100 million to its insured through a combination of litigation and mediation efforts. Advised a real estate development company client on the successful re-use of existing land with environmental challenges for commercial warehousing which included the relocation of the tenant and the return of the tenant to its original location, all resulting in the retention of old jobs and creating new jobs in an urban area. The project was the recipient of the New Jersey chapter of NAIOP's "Creative Industrial Deal of the Year." Counseled a major property and casualty insurer with respect to the potential coverage implications of the wave of Chinese Drywall cases. Provided environmental counselling for the acquisition of a historic pharmaceutical research and development facility for redevelopment as mixed use light industrial, commercial and retail uses. Negotiated and closed of a complex real estate transaction involving environmental issues in New Jersey that allowed the transaction to proceed despite significant environmental hurdles, including a continued cleanup responsibility for the predecessor in title at the property, protecting the buyer/client from environmental exposure in the future, and permitting the client to develop the property to its highest and best use. Advised a New Jersey state agency responsible for schools construction on risk management issues. 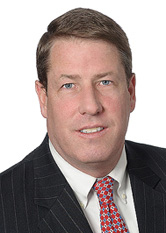 Mr. Craig serves on the Advisory Board of Trustees of Court Appointed Special Advocates of Somerset, Hunterdon and Warren Counties (as Past President), and on the Board of Trustees of the Essex Hunt Club. Mr. Craig attended the Delbarton School in Morristown, NJ.